The Kailash "Gang Rinpoche", which means "Jewel of snow" is striking in the way it rises high above the surrounding range and always remains snow - capped. Mount Kailash has a unique and distinct shape, with four sheer faces matching the cardinal points of the compass. It is also free standing, solitary. Regarded as the earthly manifestation of mythic Mount Meru, or Sumeru, the spiritual center of the universe in Hindu, Buddhist and Jain cosmology, Mount Kailash is also believed to be the source of four life-giving rivers. To Tibetan Buddhists, Kailash is the abode of the tantric meditational deity Demchog. Hindus see Kailash as the throne of the great god Shiva, while the Jains revere Kailash as the site at which their first prophet received enlightenment. A pilgrimage to Mount Kailash and a bath in the Mansarovar is believed to bring about salvation (Moksha). Day-1: Arrive and transfer to Hotel. 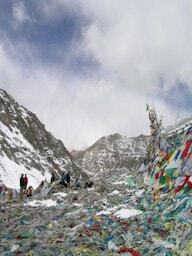 Day 02: Obtain Tibet Visa / Sightseeing. In the evening, enjoy a welcome dinner. Day-3: Preparations for the trip. Hotel Overnight. Day-4: Flight: - Nepalgunj. Free to explore the town on arrival or rest prior to the start of the trek. Stay Overnight Hotel. Day-5: Nepalgunj - Simikot and prepare for the trek. Commence the trek to Tuling which will take about 3 hours). Overnight Camp. Day-6: Continue the trek to Kermi , taking about 5 hours. Overnight Camp. Day-7: Continue trek to Yangar (6 hrs trek). Overnight Camp. Day-8: Continue trek to Muchu (6 ½ hrs trek). Overnight Camp. Day-11: Lake at 4500m, arriving after about 3 hours. It is advisable to get some sleep on arrival due to the increase in altitude. Day-12: Continue the drive to Darchen at 4580m, about 30km away. Today will be a short drive of about 1 hour. Overnight Guesthouse. Day-13: Today we start the Mt Kailash trek up to an altitude of 4800m. It will take us about 7 hours to complete a distance of 14km&apos;s, due to the altitude. Camp . Day-16: Spare day to explore the surrounding area of . Camp Overnight . 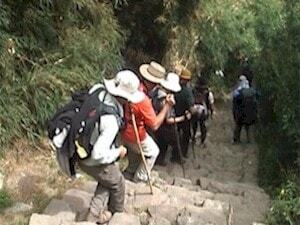 This will be our last night of the trek near the base of Mount Kailash. Day-20: After a 5 hour drive, we will arrive at Shigatse at 3700 meters. Hotel Overnight. Shigatse is the second largest city in Tibet with lovely markets and also the Tashilhunpo Monastery. This monastery is one of the largest functioning monasteries in Tibet. Overnight Hotel. Day-21:Drive to Gyangtse (3800meters). (95kms, 02hrs). Hotel . Day-23: This morning we visit the Potala Palace. This spectacular building contains the private quarters of the Dalai Lama. There has been a palace on this site since the 5th or 6th century, but the present palace was constructed in the 17th century. A visit to the Drepung Monastery founded in the 14th century, this monastery was once the largest in the world, with a population of around 10,000 monks. Day-24:: Flight: Lhasa Kathmandu. Free day to explore the attractions. Hotel Overnight. Day-25: Free day for shopping etc. Hotel Overnight. A combination of very long days with steep paths, boulders and mountain scrambling. 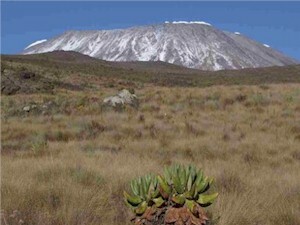 Glaciers and snow may be encountered at high altitude. There is no need for technical climbing experience. Medium risk of altitude sickness. Altitudes up to 6000m. Good cardio vascular fitness is needed with weight and circuit training and running. Lots of hill walking. Backpacks will weight about 4-5kg and contain water, camera and essentials. Trek weight loss in the region of 4kg.